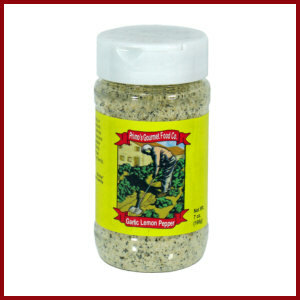 A bold and lively blend of zesty lemon, coarsely ground black pepper, spices, onion and of course, garlic. This tangy seasoning imparts the taste of fresh lemon and spices to any food, any time, with just a shake. It makes eating fun! This is an all-purpose seasoning, particularly for chicken and fish. 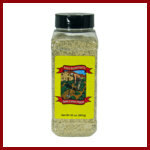 We also use it with eggs, pasta, bread or a rub in grilling. As with all our rubs, we recommend ‘rub’bing it directly into your meats prior to grilling at least 30 minutes, and ideally overnight. Store in the fridge in sealable plastic. Dry rubs require a little moisture from the surface of the meat to stay on, but as the meat cooks and releases juices our rub will create a wonderfully flavored crust.